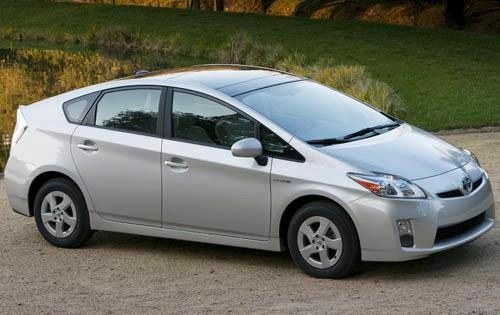 Affected by this week’s recall are model year 2010 Toyota Prius hatchbacks manufactured between March 31, 2009 and October 9, 2009 and Lexus HS 250h vehicles built between June 19, 2009 and October 9, 2009. The U.S. recall affects 81,570 Prius vehicles and 5,030 Lexus HS 250h cars. Approximately 113,500 vehicles are impacted in Japan, as well as another 40,000 around the rest of the world. According to documents filed with the National Highway Traffic Safety Administration, certain Prius and HS 250h vehicles may contain a faulty brake booster pump, which may leak nitrogen gas into the brake fluid. As a result, the brake fluid may become contaminated and the brake pedal may exhibit reduced hydraulic pressure. In some cases, this condition could impact stopping distances and increase the likelihood of a crash. In hydraulic regenerative braking, the vehicle’s kinetic energy is utilized to power a reversible pump, which delivers hydraulic fluid from a low pressure accumulator into a high pressure accumulator. This pressure is created by nitrogen gas located in the accumulator, which slows the vehicle down and helps bring it to a stop. The nitrogen gas’ ability to slow the vehicle down is compromised if it leaks into the brake fluid. Toyota will begin notifying customers of the recall—by first class mail—in late July 2013. Authorized Toyota dealers will replace defective brake booster pump assemblies free of charge. The repair will take approximately three hours to complete. In the meantime, owners may contact Toyota at 1-800-331-4331 or visit www.toyota.com/recall. Concerned drivers may also contact the National Highway Traffic Safety Administration’s Vehicle Safety Hotline at 1-888-327-4236 or go to www.safercar.gov. The NHTSA recall campaign number is 13V235000. The Japanese automaker first became aware of the issue in May 2010 when it received two field reports related to the brake booster pump assembly. Toyota subsequently launched an investigation, which lasted nearly two years. Late last month, Toyota decided that a voluntary safety recall campaign was necessary to remedy the problem. Toyota has received over 90 complaints related to the issue. There have been no reports of crashes or injuries, according to the automaker. This isn’t the first time Toyota has recalled its flagship hybrid over brake issues. In 2010, the carmaker recalled 433,000 Toyota Prius vehicles to fix a brake software glitch. Like this week’s recall, the 2010 recall also affected a small number of Lexus HS 250h sedans.